What Has One Month of Apple Music Taught Us? In a highly controversial High Court ruling, it is now a crime to burn, and or, share music through any type of external device for free. 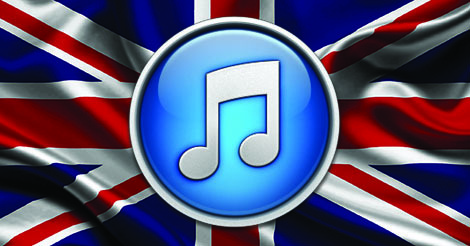 Overruling a previous legislation passed late last year, the UK has decided that free music sharing by means of personal CDs and external storage devices infringes on the music business enough to criminalize it. For a company that touts, “import your favorite CDs with just one click,” Apple has its work cut out for themselves as this High Court ruling makes their hallmark application iTunes a crime to use for their UK market. As music sharing is one of the primary features of iTunes is unclear of what Apple will do to address this ruling. Apple has yet to make a statement concerning this ruling and it is unknown whether or not Apple may go to court to defend iTunes. It should be noted that this is not the first time the UK has made sharing music illegal. It wasn’t until October of 2014 that the UK even had legislation that allowed users to share their music libraries with personal CDs and other sharing devices. The Daily Mail mentions that “the legislation that was passed aimed to boost the UK’s economy by up to £8 billion in offering new music and video services.” However, the Musician Unions of UK took legal action in fear that listeners sharing their music for free will hurt their profits. Fortunately for UK , whether or not this ruling is going to be enforced is highly unlikely. IPO office told TorrentFreak that the government’s response to the High Court ruling was to “carefully [consider] the implications of the ruling and the available options before deciding any future course of action.” The UK Government went on to say that that the law was “complex” to individuals, but they can be rest assured that UK music users do not have to start setting fire to their CDs and external drives just yet. A New York native raised in Vernon Hills, Illinois, Kane McLoughlin is a well traveled writer with a deep passion for reggae, punk-rock, and any pretty much anything you can chill to.